When you use Kraft Velveeta Cheese with 2% Milk to make Kraft cheese dip or another tasty dish, you get the same benefits of original Velveeta but with half the fat. 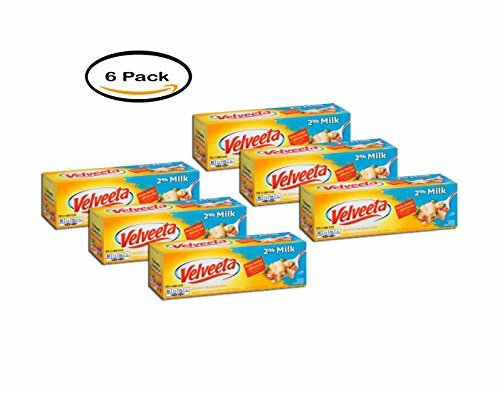 This 32 oz package can be used to make your favorite Velveeta cheese dip and still melts better than cheddar, making it easy to make some of your favorite foods like macaroni salad or melted cheese-covered broccoli. Milk, Whey, Milk Protein Concentrate, Whey Protein Concentrate, Water, Sodium Phosphate, Contains Less than 2% of Maltodextrin, Milkfat, Salt, Dried Corn Syrup, Calcium Phosphate, Lactic Acid, Sorbic Acid as a Preservative, Sodium Alginate, Sodium Citrate, Lactose, Buttermilk Solids, Enzymes, Cheese Culture, Vitamin A Palmitate, Apocarotenal (Color), Annatto (Color). After opening, refrigerate. If you have any questions about this product by Velveeta, contact us by completing and submitting the form below. If you are looking for a specif part number, please include it with your message. A Taste of the Vineyard Cheese and Salami Gift Box - Perfect for Cheese and Artisan Cured Meat Lovers as well as the ideal Business, Housewarming or Thank You Gift.